He is Risen! Indeed He is Risen! All Teens!! Come Join Us For a Holy Thursday/Good Friday Retreat! 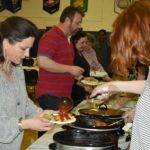 The annual Spaghetti Dinner was held in the Mackin Center on Saturday, April 13, benefiting the Teen Mission Trip. Join us for the Holy Thursday-Good Friday retreat! 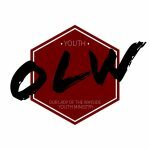 No Peer Ministry for the Next Two Weeks! Enjoy your spring break!! See you April 7th! Spaghetti Dinner Fundraiser for our Teen’s Mission Trip! Looking for a Few Volunteers to Show our 8th Grade REP a Peer Ministry Night! !